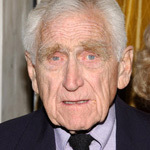 Actor James Whitmore died of lung cancer, aged 87. The Emmy, Golden Globe and Tony award winning star was diagnosed with the illness in November and passed away on this afternoon at his home in Malibu, California. He was the only actor ever to be nominated for an Oscar for a film in which he was the only performer. The movie, 1975's Give 'Em Hell Harry, was a film adaptation of his long-running stage production based on the life of President Harry Truman. Whitmore embodied the role of Brooks Hatlen in 1994's The Shawshank Redemption.